In the Business Leader Magazine April-June 2018 South West Edition, thirty-two of the South West’s most innovative tech businesses are showcased. As part of the Go:Tech awards launch, the magazine profiles the regions companies that have become pioneers within the Tech industry and their respective sectors. 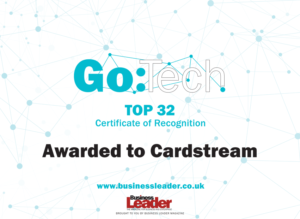 Cardstream are honoured to be included as a FinTech business shaping the future both in the local region and as a global payment gateway service provider.